Introducing my 3 year old child to his first pet fish – time to buy the fish! 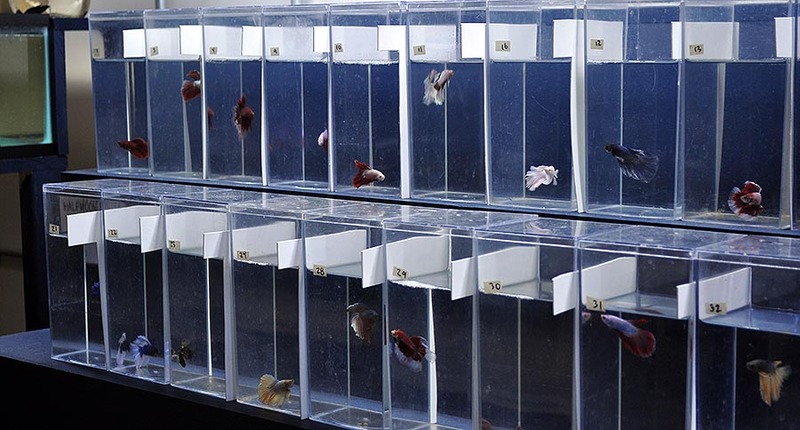 Largely out of necessity and my wife’s sanity, Ethan went to his first tropical fish auction back in April 2013, the week after his sister was born, while he was still only 2 years old. I can’t say he “got it”, but I made sure that he got to “bid” and managed to win a betta fish. This fish was not, however, instantly his. In fact, it was tucked away in the fishroom for a couple weeks. In order to pick out his first fish, he was going to have to be well-behaved the entire trip. After departing the auction, we headed to The Betta Shop where Ethan was permitted to pick out ANY single betta his young heart desired. 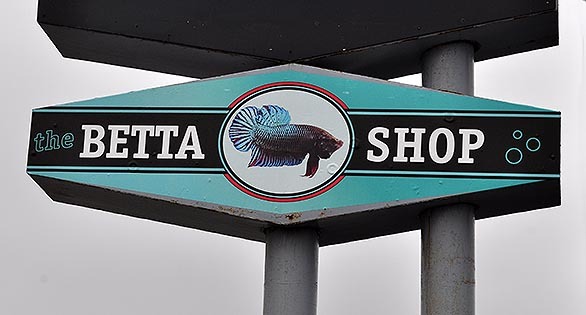 Now I must emphasize that the modern betta truly offers endless diversity, but you don’t necessarily see that diversity fully represented in the offerings of most local fish shops. Ethan was certainly lucky to see almost the entire continuum of bettas in front of him at The Betta Shop. 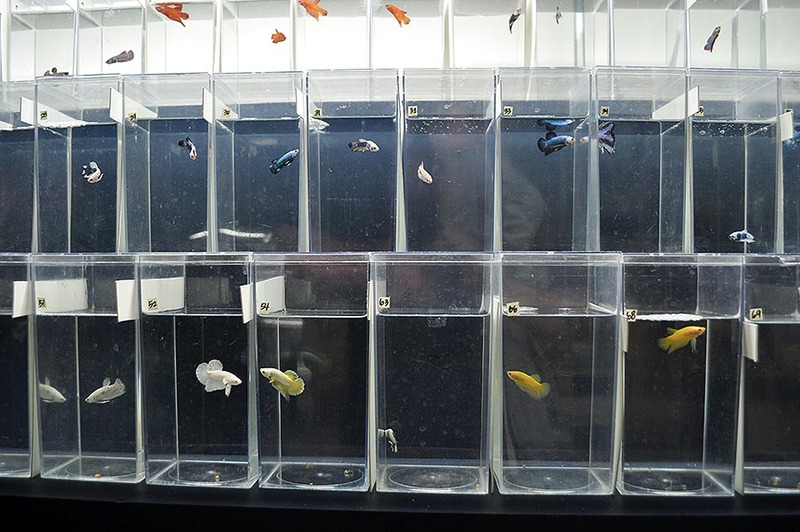 When presented with such a wide array of choices, if you can’t find a betta form that you like, I have to seriously question whether you can appreciate the beauty in any fish! A selection of male Halfmoon bettas at The Betta Shop. Ethan’s instructions were clear. Before he could pick out his fish, he had to ask Tony, the shop’s owner, how to take care of his new fish. Tony’s instructions were clear and spoken directly to Ethan. We were to feed the fish Atison’s Betta Food (by Ocean Nutrition), no more than 5 pellets, once per day. Once a week, Ethan’s new fish would require a 50 percent water change. For a 3 year old, these were easy instructions (considering he has a dad who knows how to effectively and safely do a 50 percent water change). Ethan’s job wasn’t to necessarily do these tasks himself without help. No, the responsibility I placed upon my son was that he must remember that we have to do these things. A selection of male Halfmoon Plakat (short fin) bettas at The Betta Shop. What was Ethan’s selection that day? He selected a yellow halfmoon plakat male. Frankly, he didn’t even select the most colorful of the 5 or 6 yellow halfmoon plakats that Tony had, but for some reason, this yellow betta spoke to my son. 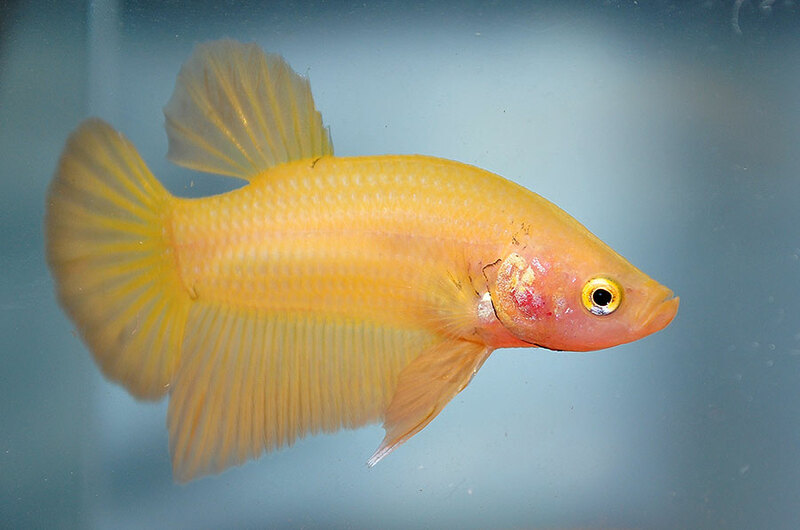 Ethan’s selection – a young male yellow half moon plakat betta, now named Swimmy. I kept the fish downstairs that night, and the next morning we introduced Ethan’s first pet to his new aquarium. Frankly, as an aquarist, I couldn’t be more proud of my son’s enthusiasm for his new pet. Of course, Ethan’s tank had space for two bettas. 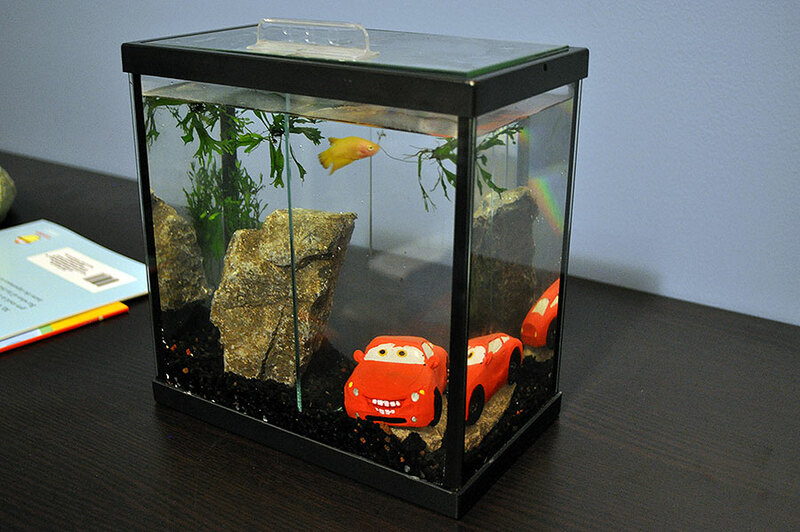 Ethan chose which side that his new yellow betta, dubbed “Swimmy”, would live on (it lives with the red sports car). Deep Blue Betta Tank with Ethan’s first fish, Swimmy the Yellow Betta. The other side was reserved for the second betta. This would be a fish that Ethan would earn; if he could remember to feed Swimmy every day for two weeks, and remember to do the water change every Sunday, he could receive his next fish. When asked what his next fish would be, he said “blue with yellow fins”. Of course, he was probably describing the fish he had won at the fish auction (it’s truly AMAZING what our 3 year old son remembers, things like spilling food on our neighbor’s porch some 10 months ago…truly random things). How well will Ethan take on the responsibility to remember?